The secret is that besides the unique experience of its rich almond- walnut flavor and aroma, it also offers you a home cosmetic that you can use in a variety of ways. If you want a really efficient product, you need to turn to mother Nature for a solution free from additives. The fruit of the argan tree is selected by berber women, who press close to 100 kgs of pure fruit to gain 1 liter of 100% natural, cold pressed Pödör argan oil, their work of peeling the fruit flesh off the kernel taking as many as 12 hours. This explains why argan oil is the most widely adulterated oil in the world. Of course, it is only by tasting that you can check out professional quality. That’s what expert chefs do, too! What are the qualities of argan oil that we can make use of in our everyday skin nourishing routine? Argan oil has a regenerating, smoothing effect, thereby nourishing mature, dehydrated skin. Contrary to common belief, it does not plug up the pores, and experience shows that it can be a safe part of nourishing fatty or even acne skin. It also has the beneficial effect of improving the oxygen supply of cells and stimulating collagen production. It has a high content of unsaturated fatty acids and natural, active E vitamin. As a hair mask, dispersed on wet hair. For maximum effect, wrap your hair in aluminum foil and roll it up in a towel. You can also mix the oil with egg yolk. To completely remove it, it’s recommendable to wash the hair twice or even three times in the morning. Brittle hair absorbs it like a sponge. Mixed with sugar, for face and body peeling. If you do it on a regular, weekly basis, the result will be not just a silkier skin but also a more intensive absorption of the valuable active agents. Dripped on a cotton wool pad instead of the ordinary make-up remover, it works without drying the skin. It removes even water resistant make-ups without a trace, while filling up the wrinkles around the eyes. For treating scars, cellulite and pregnancy lines. It is important that you use it regularly, in addition to sufficient liquid consumption, a right diet and adequate exercise. Argan oil acts as a natural serum on the skin, both in itself, applied on wet skin, or mixed into a hydrating cream. Make sure that you always shake it before use since this oil is unfiltered. 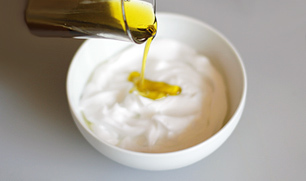 Take a bowl and pour in the 3.5 Oz pharmacy-made hydrating cream. Add the 2 tbs of Pödör argan oil. 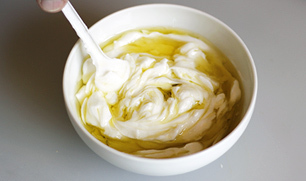 Mix the oil in the cream thoroughly until its color gets even, and then spoon the mixture into the cream jar. Keep the cream in a dry, cool place. 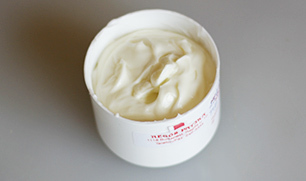 Use it on a daily basis to preserve the beauty of your skin. Apply thinly on your face, neck and cleavage – but it can work magic on your hands and body as well. It absorbs very fast.